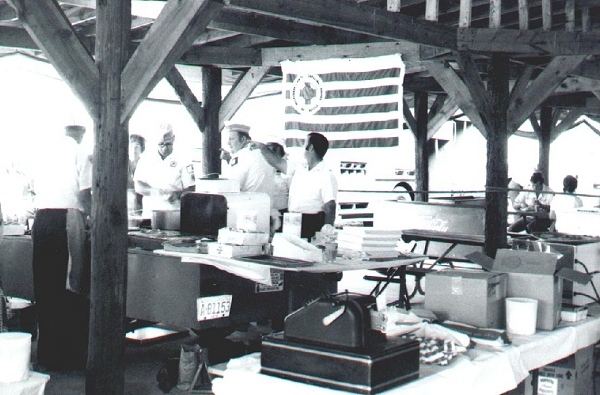 The history of Piedmont Triad Ambulance and Rescue, Inc. can be traced back to 1963, to a CB Radio Club which met weekly at the old “Little Red School House” on Hamilton Street in High Point, North Carolina. Back then, a small group of men would patrol the streets in their own unmarked vehicles, keeping a watchful eye for criminal activity and emergency situations. By the year 2000, the organization had grown into something more than those men could have ever imagined – with a top-notch fleet of 14 ambulances, 2 staff cars, and a rescue truck. In 1967, Larry Pendry of the High Point Police Department asked the members of the High Point CB Club if they would be interested in assisting with directing traffic, control of crowds, and providing first aid at various events. 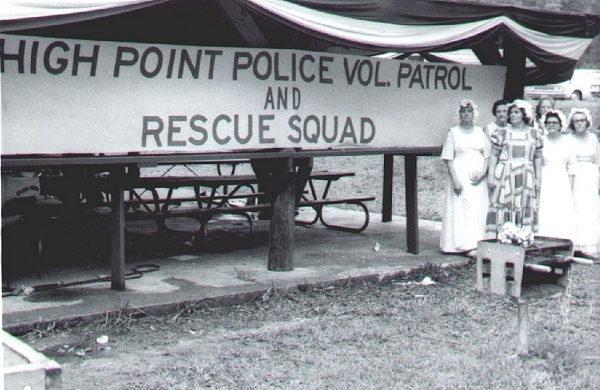 As a result, the High Point Police CB Club Volunteer Patrol was organized in 1969. Charles Boyd was elected as its President and Captain. Their first patrol vehicle was a 1950 panel truck. The Volunteer Patrol members were provided with a photo I.D. and a badge. They became known as the “redcoats” to the public, because they wore a red jacket, white shirt, and navy blue pants. Charles Boyd recounted that many local businesses were being robbed at the time the Volunteer Patrol was organized. As a result, some of their original duties included staking out automobile lots, convenience stores, and grocery stores at night. The 6 original Rescue Squad members were Carson Whitlow, Norman Lyles, Jack Summey, Bill Osborne, Danny Hicks and Charles Boyd. All of them were members of the High Point CB Club, which Mr. Boyd had first joined in 1963. The original 6 Squad members also enrolled in both the N.C. Rescue Institute and the N.C. Rescue College at Chapel Hill in 1971, and graduated in 1975. In Its First Full Year Of Operation In 1972…. By 2004, That Number Had Reached 22,604 Calls! Several other long-time members who joined the Rescue Squad shortly after it received its Charter in 1971 were: Arlige G. Auman, Elmer W. “Bucky” Caveness, Dennis N. “Shorty” Hawkins, Edwards M. “Ed” Henry, Carl E. “Buggs” Hensley, Dallas E. Kay, Joshua E. “Jim” Surmons, Jr., and Marion Summey. Each of those dedicated members made great contributions to the early history of the Rescue Squad. 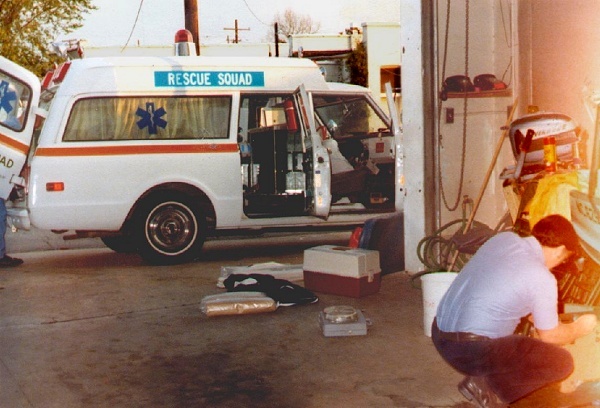 When the Squad first began operations in 1971, it was based in a Squad member’s workshop. In 1972, the Squad began operating out of the old High Point Fire Station No. 6 on East Kearns Avenue, just off South Main Street. The Squad members answered a total of 5 calls during 1972. Bill Osborne became Chief in 1974, and served in that capacity until his death on March 14, 1999. Although Charles Boyd discontinued his active rescue activities in 1977, he remained involved with the Rescue Squad within the corporate structure. 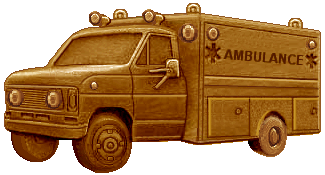 In that same year, the Rescue Squad was franchised as an Ambulance Service by Guilford County. Following the death of Bill Osborne, the Chief’s position was assumed by Paula Lineberry in March 1999. She became one of only a few female Rescue Squad Chiefs in the State of North Carolina at that time. Prior to being appointed to the Chief’s position, Chief Lineberry had served as Assistant Chief under Bill Osborne from 1993 to 1999, after having joined the High Point Rescue Squad on October 12, 1988. She first began working on an ambulance as a volunteer in 1985. Prior to that, she had volunteered for a local Fire Department in Kimesville, and attended school in 1982 with the goal of becoming a medical secretary. Chief Lineberry said, “It’s very unique to see a female in the position that I hold. Sometimes it’s been tough.” However, Charles Boyd and other colleagues said that she was doing an excellent job. Charles Boyd said that he had been told many times by Charlie Porter, Director of Guilford County Emergency Services, that he didn’t know what he would do without the Rescue Squad. In 1980, the Squad achieved a milestone by moving into a new Headquarters building at 901 South Elm Street. That new building provided much more room to park vehicles both inside and outside, along with additional office and training rooms. Not only did Mr. Davis help with the new building’s financing, but he was also there throughout the construction of the facility, hammering nails, sawing wood, laying shingles, and driving a tractor to level the ground. In 1998, the name was changed from High Point Rescue Squad to Piedmont Triad Ambulance and Rescue, Inc.(PTAR) to reflect a growing service area. In 1999 approximately 16,000 calls for service were answered. In addition to responding on emergency calls, those calls include transporting patients to their doctor’s office or nursing homes. PTAR also provides convalescent transport services, and has traveled as far as to Chicago and Ohio in the past, and frequently travels to Virginia on an almost daily basis. By July 2000, PTAR had grown to a staff of approximately 50 employees, and 25 volunteers, operating a fleet of 14 ALS Licensed Ambulances, 1 Rescue Truck, 2 Staff Cars, and a couple of Boats, along with a full complement of rescue and first-aid equipment. In 2004, those numbers had increased even more, to a staff of roughly 70 full-time and part-time employees, including several office staff members, and about 25 Volunteers, 16 ALS Licensed Ambulances, 1 Rescue Truck, 3 Boats, 1 Wheelchair Van, 1 Emergency Support Vehicle, and 3 Staff Vehicles. “We do the stuff that will pull them (Guilford County EMS) out of the County and wouldn’t allow them to deal with the big emergencies,” said Chief Lineberry. That includes such things as transporting deceased persons to the Coroner’s Office in Chapel Hill, which would otherwise tie up a County EMS unit for several hours. PTAR also works closely with the High Point Police Department by providing support for their Tactical Team, providing lighting for DWI checkpoints and remaining on standby at the scene of hostage situations. In addition, PTAR works with the High Point Fire Department to remain on standby with an ambulance on fire scenes, and at rookie firefighter training sessions. In addition to PTAR’s Headquarters location in High Point, it operates two (2) other base stations in Greensboro, and runs calls throughout Guilford County, Davidson County, and Randolph County. In April 2007, PTAR opened another base station at 2011 Sandy Ridge Road, near the River Landing Retirement Community, in Colfax, N.C.
Charles Boyd agreed with Chief Lineberry, and said that PTAR serves the area it should be dedicated to. The addition of more state-of-the-art equipment. Treating injuries on the scene to avoid trips to the hospital. Becoming more involved in home health care. For example, instead of transporting people to their doctor’s office for flu shots or other minor procedures, Squad members could administer them in the home of the patient. Another plaque, presented to him on December 14, 1991 and titled “Mr. Chairman, was in recognition of 20 years of service. The third plaque recognized him for 25 years of service to the High Point Rescue Squad in December 1996. Mr. Boyd resigned from the Squad’s corporate structure in December 1998, after a total of 32 years of involvement with the organization — from the High Point Police CB Club Volunteer Patrol to the High Point Rescue Squad, which eventually evolved into Piedmont Triad Ambulance and Rescue, Inc. He said, however, that he would always be a part of the organization. “You don’t do something for the years that I’ve been involved and just forget it… It will always be a part of me. I love the High Point Rescue Squad.” Charles Boyd died on October 30, 2003. In late 1980, we moved into our new Headquarters Building at 901 South Elm Street in southern High Point. We held an Open House and Building Dedication Ceremony on February 15, 1981. The new facility was designated as “Base-7”, using the Guilford County EMS numbering scheme. 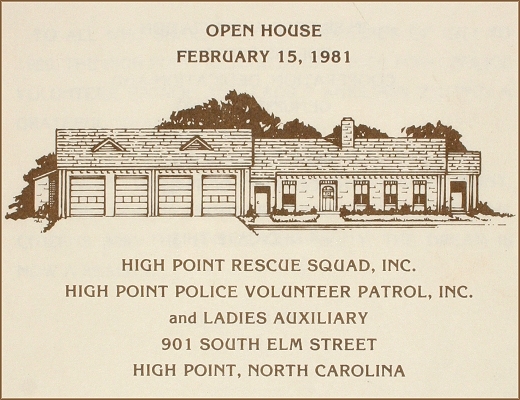 A 16-page brochure was prepared for the event, which included a great deal of detailed information about the formation and history of the High Point Rescue Squad, which was renamed Piedmont Triad Ambulance & Rescue, Inc. in 1998. Over the years PTAR continued to grow, the number of our volunteers and employees continued to increase, and our service area continued to expand. As a result, we began to outgrow a single Base Station, and saw the need to add additional Base Stations. In (month / year) we began construction on a 2nd Base Station at 600 Huffine Mill Road in northeast Greensboro. The construction was complete, and our crews starting operating from Base-10 in (month/year). Our growth continued with our 3rd Base Station being built at 300 Concord Street in southwest Greensboro. That construction began on Base-6 in (month/year) and was finished in (month/year). Base-6 was built in a partnership with Guilford County EMS, with both PTAR and GCEMS crews and vehicles stationed together there. In March 2006, construction was started on our 4th Base Station, which is located at 2011 Sandy Ridge Road in Colfax, adjacent to the River Landing Retirement Community, and in a rapidly growing area of Guilford County which had become known as “The Heart of the Triad”. That facility, known as Base-9, began operations in April 2007, and we held an Open House & Building Dedication Ceremony on August 19, 2007 – which marked our 36th year of operation. After 36 years of operation, and 28 years at our Base-7 location at 901 South Elm Street in southern High Point, we saw the need to expand our office space, which had become very cramped. About that same time, a nearby office building – known as the Causey Law Office Building – was placed on the market for sale. We purchased that 2-story building, which is located at 1422 South Main Street in High Point, North Carolina – just a few blocks from our Base-7 location. In May 2008, we relocated our offices, Billing Department, and Dispatch Operations to the new PTAR Administrative Office Building. Our fleet of ambulances continued to be based at the old Base-7 location. The move gave both our office staff and ambulance crews more room to operate, and provided much needed storage space for equipment and supplies at both locations. At the same time we were moving into our new Administrative Office Building, plans were underway to construct a Base Station in Asheboro, North Carolina on property that we purchased in December 2007. Construction of our 5th Base Station, which would become known as “Base-11” began on August 17, 2009. The new 3-bay building was placed into service during an Open House & Dedication Ceremony on August 15, 2010. The story of Base-11 actually began way back in 1971, when we first received our Charter. Back then, we answered calls in the Randolph County area as requested on a “mutual-aid” basis, running out of our Base-7 location in downtown High Point. A couple of our employees – EMT-I Jane Wooters and EMT-I Michael Allred – were very instrumental in PTAR starting to provide service in Randolph County on a regular “as needed” basis in early 1992. Their normal work assignment with PTAR was in the Greensboro area. They saw a need, however, for someone to help out with non-emergency convalescent calls, and scheduled patient transport calls, in the Randolph County area so that Randolph County EMS Paramedic ambulances could remain available to answer more emergency calls. So, when they reported to work each morning, and picked up an ambulance at Base-7 in High Point, they would telephone the Randolph County EMS Dispatchers to see if they had any scheduled transport calls which they could handle. If so, they would catch some of those calls before traveling to Greensboro for the rest of the day. a daily “prime-time” basis on January 2, 1996 . Between calls, Jane and Michael would share somewhat cramped quarters with Paramedics at the Randolph County EMS Station in southern Asheboro. Then, in 2008, PTAR expanded to having that same ambulance stationed in Asheboro 24-hours-a-day, 7-days-a-week, 365-days-a-year. That also resulted in PTAR hiring several additional EMTs to cover the shifts. Due to the cramped quarters at the Randolph County EMS Station, PTAR personnel often stayed at the home of a PTAR EMT who lived in Asheboro, including parking an ambulance in his driveway and eating and sleeping at his house between calls. Because of that, and as the call volume continued to increase, we saw the need to build a PTAR Base Station in northern Asheboro. During our Base-11 Open House & Dedication Ceremony on August 15, 2010, Jane and Michael were given some awards that recognized their 22 years of service to PTAR, and their efforts over the prior 18 years which were instrumental in PTAR’s continued growth in Randolph County, and which resulted in a new PTAR Base Station being built in Asheboro. Over the years PTAR has grown from a 6-man operation in 1971 which served the local High Point area with just a few trucks, to a much larger organization which serves the Piedmont Triad Metro area. In 2011 PTAR’s local service area includes High Point, Greensboro, Jamestown, Archdale, Trinity, Asheboro, Thomasville, Lexington and other areas of Guilford, Davidson and Randolph counties. In addition, we also provide transportation outside our normal service area, including many out-of-state trips. PTAR’s Administrative Offices are located at 1422 South Main Street, High Point, North Carolina. We currently operate out of five Base Stations, with our Headquarters Station located at 901 South Elm Street in High Point. We have two Base Stations in Greensboro, at 300 Concord Street in southern Greensboro, and at 600 Huffine Mill Road in northeast Greensboro. Our fourth Base Station is located at 2011 Sandy Ridge Road, in the Colfax community, while our newest Base Station is located at 108 East Balfour Avenue, in Asheboro. In addition, PTAR operates 2 other ambulances on a daily basis from temporary quarters in Lexington, and Thomasville. Our fleet has grown to now include 20 ALS Licensed Ambulances, 17 of which are operated on a daily basis. We also have 1 Heavy Rescue Truck, 3 Boats, 1 Emergency Support Vehicle for disasters and mass casuality situations, 1 Maintenance Truck, and 3 Staff Vehicles, along with a full complement of rescue and first-aid equipment. Also as of 2011, we have a staff of roughly 80 full-time and part-time employees, including several office staff members. In addition, we also have about 25 volunteer members.